After his album Tha Carter V just hit platinum status, it appears Lil Wayne was feeling generous. Weezy recently bought his friend and protoge Drake a diamond 6 chain to celebrate success. On Monday, popular jeweler Eliantte posted a picture of a new piece he just finished for the mc. In the caption he describes that Weezy bought the iced out chain and “6” charm custom made for Drake. Eliantte also posted a video of the necklace and charm to show off the details and the shine of the piece. 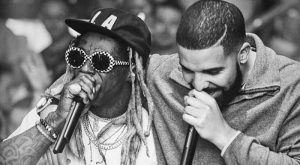 Check out Lil Wayne’s gift to Drake below.